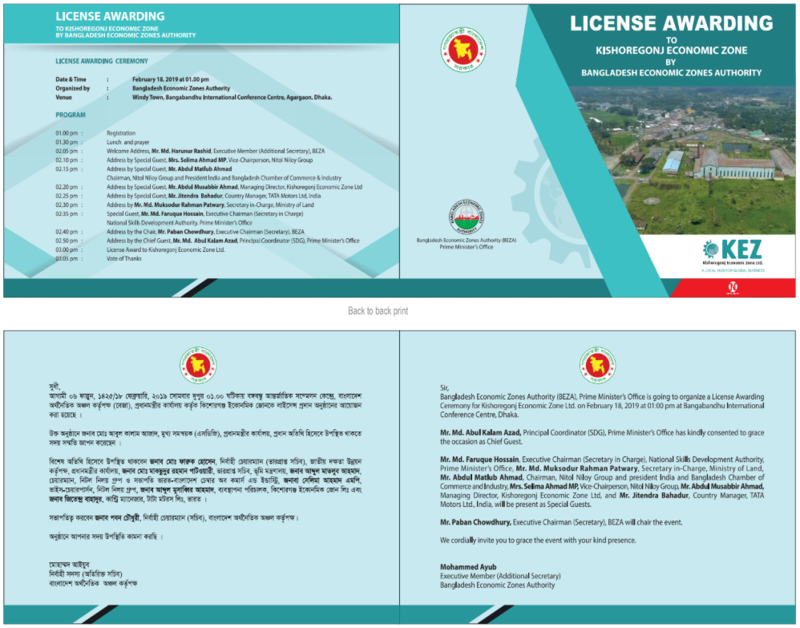 Bangladesh Economic Zone Authority (BEZA), Prime Minister’s Office is going to organize a License Awarding Ceremony for Kishoregonj Economic Zone Limited will be help on February 18, 2019 at 01.00 PM at Bangabandhu International Conference Centre, Dhaka. Mr. Md. Abul Kalam Azad, Principal Coordinator (SDG), Prime Minister’s Office has kindly consented to grace the occasion as Chief Guest. On this event Abdul Matlub Ahmad, Chairman, Nitol-Niloy Group and President of India and Bangladesh Chamber of Commerce and Industry, Mrs. Selima Ahmad MP, Vice-Chairperson, Nitol-Niloy Group, Abdul Musabbir Ahmad, Managing Director, Kishoregonj Economic Zone will be present as Special Guests. Mr. Paban Chowdhury, Executive Chairman (Secretary), BEZA will Chair the event. Also Mr. Md. Faruque Hossain, Executive Chairman (Secretary in Charge), National Skills Development Authority, Prime Minister’s Office, Mr. Md. 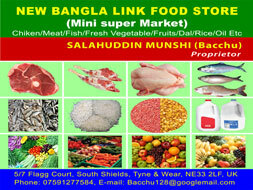 Muksodur Rahman Patwary,Secretary in-Charge, Ministry of Land will be present there.